LeBow is pleased to announce that Vertex, Inc. is the Corporate Partner of the Month of December. Vertex, Inc. is a leading provider of tax technology and services, enabling companies of all sizes to realize the full strategic potential of the tax function by automating and integrating tax processes, while leveraging advanced and predictive analytics of tax data. Vertex provides cloud-based and on-premise solutions that can be tailored to specific industries for every major line of tax, including, sales and consumer use, value added and payroll. 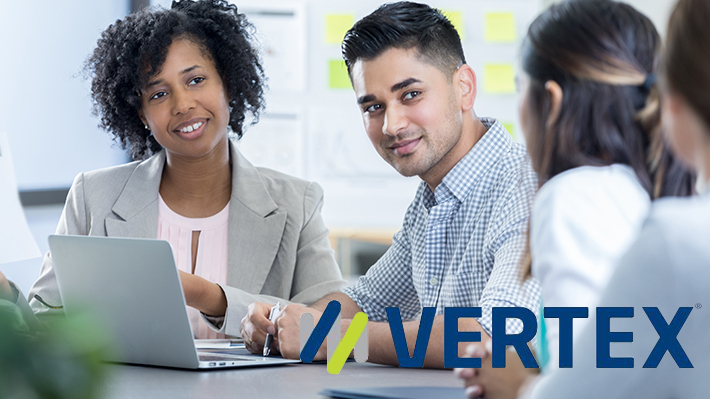 Headquartered in Pennsylvania, and with offices worldwide, Vertex is a privately held company that employs over 900 professionals and serves companies across the globe. For more information about Vertex, visit www.vertexinc.com or follow on Twitter @vertexinc. Explore the events below to learn more about Vertex.